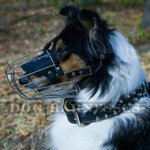 I ordered this muzzle because of its matchless design among selling ones to fit my outsize Border Collie. It was recommended to wear the muzzle outdoors because of his reactivity. 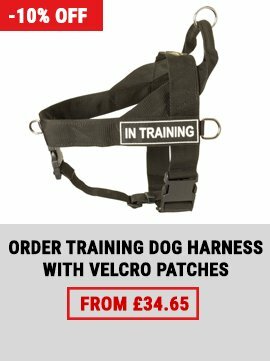 The product is of the ideal size and with good quality leather. 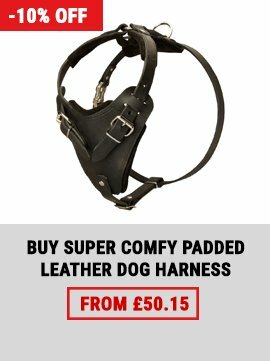 My first opinion was that leather is rough and the muzzle is heavy, which could cause discomfort to the dog. 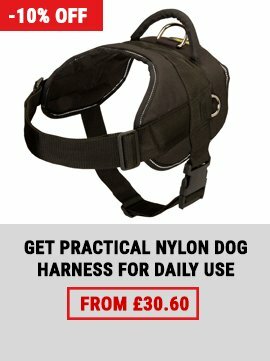 Neither of my concerns came true as the muzzle fits very well and it seems to be made to provide maximum comfort to the dog. My dog's impressions are mixed as you can imagine. He doesn't like to wear muzzles at all, but this one seems not to disturb him as the previous model. Taking into account that the last model from the market disturbed him touching his nose and the central strap was falling on the other side and covering up his eye, the new one is good enough.